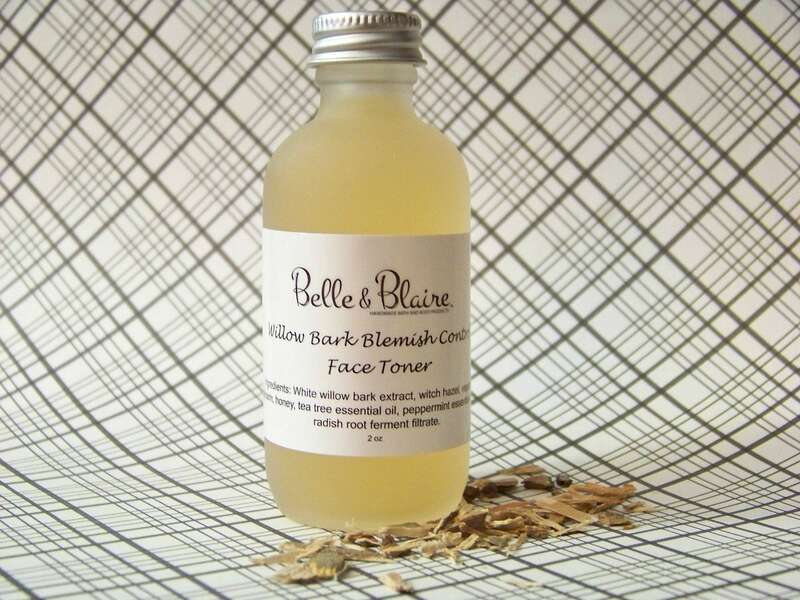 Willow Bark Blemish Control Face Toner is made with natural ingredients to fight acne and other facial blemishes. It contains natural salicylic acid that exfoliates skin while making your skin bright and radiant. The addition of tannins, an astringent that are rich in antioxidants, reduces redness and aids in skin rejuvenation. 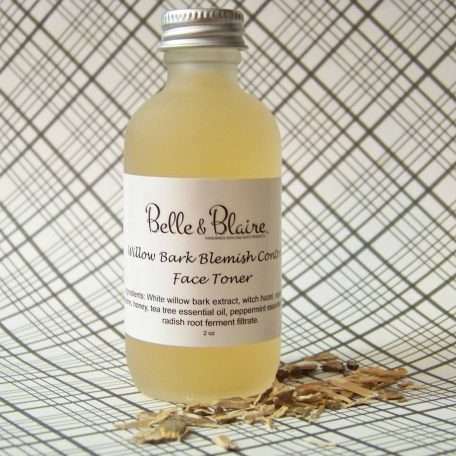 Recommended for acne prone, sensitive and rosacea skin. How To Use: After cleansing, apply toner to face with a cotton ball or cotton pads. Follow-up with a skin moisturizer or facial serum. Ingredients: White willow bark extract, witch hazel, vegetable glycerin, honey, tea tree essential oil, peppermint essential oil and radish root ferment filtrate (natural preservative). Vegan product. Note: Our skin care and personal care products contain pure all natural and gentle ingredients to nourish sensitive skin. There are no dyes, synthetic fragrance, synthetic ingredients, chemicals, no alcohol, no petroleum, no parabens, no preservatives, no pore clogging oils and no GMOs. Warning: If you are pregnant, do not use products that contain essential oils. Please make sure that you are not allergic to any of the ingredients listed in this product before purchase. It is also recommended to do a patch test by applying to an inconspicuous area and wait 24 hours and check for any allergic reactions or irritations. Disclaimer: None of the products/formulas have been tested by the FDA. These products will not diagnose, treat, prevent, or cure any illness or disease. If you are unsure of a product seek medical advice first.